The 2014 list has already gone through one revision, and this version expands it slightly. The year started with Juanes topping the list. He’s now been bumped off the Favorite 10 in favor of BADBADNOTGOOD. Despite that change, the Favorite 10 is pretty solid. The remaining list, however, has expanded to include The Drums and Taylor Swift. I’ve been curious about 1989 for a while, but I felt no desire to stream it. Yet, a thrift store copy selling for $2 was more incentive to check it out. I wonder why that is? I ended up liking it more than I thought I would. The Drums’ Encyclopedia didn’t start out as a favorite, but when I stopped expecting it to be a carbon copy of the self-titled debut, its strengths became apparent. That said, it’s really a strange album. 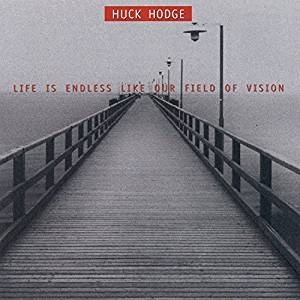 The last addition to the list is an album by Huck Hodge, a University of Washington music composition professor from whom I took a number of classes. I actually heard most of this album in class, so it made sense to own a copy of it. The 2016 list has actually undergone a revision, so this list consolidates the two entries, with some slight changes. The 10 favorites remain the same, while Utada Hikaru and Ty Herndon get bumped down. ANONHI, Pixies and De La Soul get bumped off completely. I included Pixies because Head Carrier was an improvement over Indie Cindy, but it wasn’t stellar enough to hold onto its position. Albums by ANONHI and De La Sol were good, but over time, they couldn’t hold onto to their status as favorites. As I mentioned before, lists from this decade probably won’t see much shifting, as my focus continues to move to exploring catalog. Most of the 2016 releases I bought after the year had passed were vinyl issues. A Bruce Springsteen compilation accompanying the release of his autobiography did set me on a course to explore his earlier albums. What a spiteful year 2016 has turned out to be. I won’t hazard how subsequent years may turn out with the impending leadership change in Washington, D.C., but for now, 2016 has just been a veritable shitstorm. In terms of music, 2016 has been lackluster. I encountered a lot of albums that were likable but very few I could really love. In a few instances, some of my favorite bands turned out some of their most interesting music in their careers, but I couldn’t muster excitement for them. 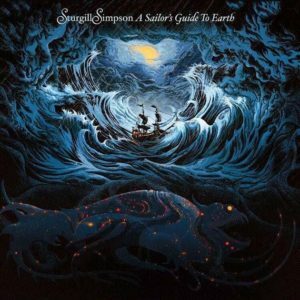 Sturgill Simpson, A Sailor’s Guide to Earth: Sturgill Simpson played a two-hour set with no encore at the Paramount Theatre in Seattle in November. He spent the first hour performing songs from his previous album. Then he spent the next hour playing A Sailor’s Guide to Earth from start to finish with a whole lot of room for jamming. That’s something a composer would do. Henryk Górecki, Symphony No. 4: Insistent. MONO, Requiem for Hell Of the two albums MONO released in 2014, Rays of Darkness was my favorite. I didn’t imagine the ideas on that album could be exploded. Solange, A Seat at the Table: Solange not only out-Lemonaded Beyoncé, she also out-Blonded Frank Ocean. Shaprece, COALS: Björk, if she were black. Drive By Truckers, American Band: I’ve known about Drive By Truckers for years, but I finally took the plunge with this album. So that’s who took up the Uncle Tupelo mantle. Cocco, Adan Ballet: This album won’t dislodge Rapunzel or Bougainvillia as a fan favorite, but it’s some of the best work she’s done since Sangrose. Colvin & Earle, Colvin & Earle: This pairing of Steve Earle and Shawn Colvin looks unlikely on paper, but intuitively, you could tell the universe was ready for it. Utada Hikaru, Fantôme: I’m beginning to realize Utada Hikaru was PBR&B before Solange started hanging out with Dirty Projectors. Ty Herndon, House on Fire: It’s tough not to read some autobiography into this album, the first Ty Herndon released after revealing he’s gay. It’s also tough not to get swept up in the confidence and energy pouring out of the speakers. Well, Frank Ocean finally dropped his much anticipated album Blonde. I think the fall 2016 release schedule can get drunk and go home now. 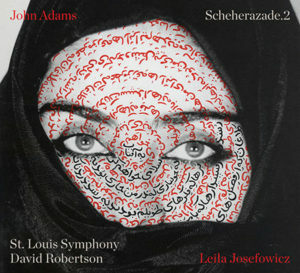 John Adams brought Scheherezade.2 to the Seattle Symphony last season. Leila Josefowicz must have dropped some mean gauntlet for Adams to create a work of such athleticism. I’m not sure if I absorbed enough of the piece in the concert hall because that was a lot of music. From what I can tell on Amazon, this reissue of Steve Reich’s albums on ECM won’t split the movements of each work into individual tracks. That would seem to be an important oversight to correct on a reissue. Reports indicate the orchestras are on their way back on this album. Songs inspired by YouTube comments performed by a Baroque ensemble — if anyone can make this premise work, it’s Nico Muhly. Shaprece’s performance with Seattle Symphony was riveting, and I’ve been looking forward to this album since. Ty Herndon announced this album was to be released back in May when he performed in Seattle back in February, but now it looks like he has some label interest. No date has been specified for the release. UPDATE, 09/11/2016: Herndon announced a release date of Nov. 11, 2016, with pre-orders starting on Oct. 11, i.e. National Coming Out Day. I can’t hear that descending/ascending bass line without picturing the dancing little man. Ray of Light seems to have dropped off the release schedule for now with Something to Remember taking its place. Like Wrecking Ball before it, Red Dirt Girl was a pivotal album for Emmylou Harris, marking her transition from interpreter to songwriter. I’m hoping this release is the first in a series of Kronos Quartet vinyl reissues because I’m not yet in the financial straits to track down the European pressing of Black Angels. This reissue was actually listed for a March release, which came and went without notice. Then it popped back up for September. Brand New Day and Sacred Love make their first appearance on vinyl, but the only album I’m really interested in is Ten Summoner’s Tales, a European release of which I can still snag online.